The Malta transport system is very well organised. 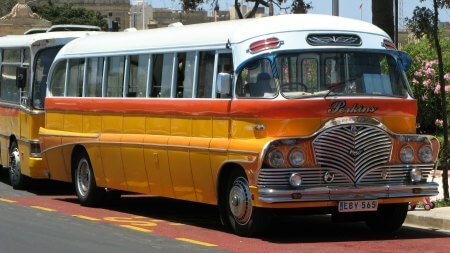 The Malta Public Transport has a very wide network of buses that will facilitate your stay without ever requiring to rent a car or use a taxi. 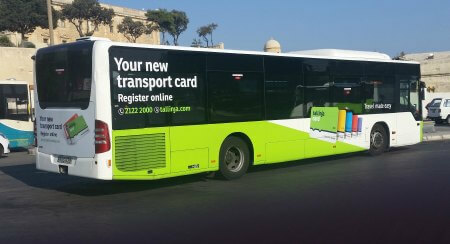 On arriving at the Malta International Airport you could choose to travel with the Malta Public Transport buses to your desired destination both in Malta or Gozo. The system offers six express bus services, the X1, X1A, X2, X3, X4, X1B. The tickets are valid for two hours and can be bought from the bus driver directly. It is good at this stage to plan beforehand what you wish to do although you can still decide at the last moment to catch a taxi from the airport taking you to any destination in Malta. At the Malta International Airport, there is the public transport customer service desk at the arrivals hall where you will be able to get assistance with information on how to get to your desired destination. The bus stop is right outside the departures/arrivals areas. If your holiday accommodation is in Gozo, on arrival at the Mgarr ferry terminal, you have to buy a new bus ticket costing €2.00. It takes more time for you to arrive to your destination but at a cheaper price. 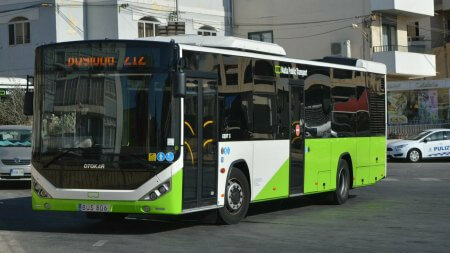 Most of the buses to the Cirkewwa ferry terminal in Malta leave from the Valletta bus terminus. Route X1: Airport to Ċirkewwa and vice-sersa. - This is the Malta bus airport to Gozo ferry. It stops adjacent to the Ċirkewwa terminal from where you proceed to embark on the ferry. - If your hotel is located in Swieqi, Gżira, Sliema, St. Julians and Paceville area this is the route you take. Route X3: Buġibba to Malta International Airport and vice-versa. Route X4: Valletta to Birżebbuġa. - It is good to check your hotel address and choose the right route for you. You can also show the address to the Customer Service and you will be guided which route is the best. Route X1A: Ċirkewwa to University of Malta and vice-versa. Route X1B: Ċirkewwa to Malta International Airport. Malta Public Transport route information should be sought from the airport to guide you to your destination. You can visit any location in Malta and Gozo as there are routes to every town, village, historical locations and entertainment. Sometimes you might see an old Malta bus in orange or other colour shades. It is ideal to take a photo as a memory of our country. **Bus does not go directly to Hotel. Stop at bus stop Mellieha at Mellieha Village. From same bus stop catch bus number 101 to Tuffieha bus stop adjacent to hotel. The journey take around two hours. **When you stop at Universita bus stop you around 30 minutes walk to the resort. The walk passes from a busy main road without pavement. We suggest you get a taxi. **Stop at Mater Dei Hospital. Then walk for around 30 minutes. We suggest you get a taxi. ***Stop at Mater Dei Hospital. Then walk for around 30 minutes. We suggest you get a taxi. This is a round trip route, were the bus leaves the Airport and returns back to the Airport with a small stop at St. Julian's.